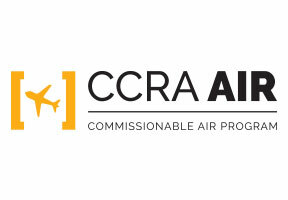 SAS is part of CCRA's Air Program. 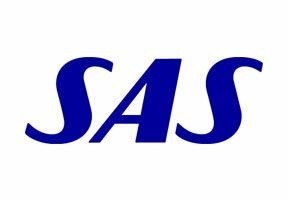 If you're booking Scandinavian Airlines - SAS through the GDS today, consider joining CCRA's airline program to start taking advantage of preferred international commission opportunities. SAS a founding member of Star Alliance offer more flights from the US to Scandinavia than any other carrier. SAS flies non-stop service from Newark to Copenhagen, Oslo and Stockholm, from Chicago to Copenhagen and Stockholm, from Miami to Copenhagen and Oslo, from Boston, Washington D.C. and San Francisco to Copenhagen and from Los Angeles to Stockholm. Through partnerships with United, American and Alaska, SAS offers smooth connections via its gateways to Scandinavia from cities throughout US. From Scandinavian its hubs - Copenhagen, Oslo and Stockholm - an extensive network is offered to destinations throughout Europe. SAS has updated its current long haul fleet with a new design, new seats, new entertainment system and Wi-Fi onboard. Customers will have a totally new travel experience on long haul flights. SAS has also ordered new aircrafts; 4 A330 Enhanced and 6 A350. The first new A330 Enhanced aircraft went into service late 2015, and remaining A330 Enhanced entered in 2016. The A350 will be going into service starting late 2017. All aircraft with new cabins are equipped with WIFI. It is complimentary in Business and Plus as well as for EuroBonus Diamond and Gold members. In Go, there is a charge of $19 US or 3,000 EuroBonus points for the duration of the flight. All intercontinental aircraft with new cabins will have the latest in on demand entertainment with a choice of approximately 200 movies, TV programs, games, music, audio books, and podcasts. SAS airport lounges at Newark and O’Hare offer home-like comforts in an inviting Scandinavian atmosphere. Rest and relax, enjoy refreshments or catch up on some work in a calm, stress-free environment. PC’s, complimentary internet access, Skype telephone calls and reading material are just some of the many complimentary services available. Earn points or mileage with SAS EuroBonus or any Star Alliance program including United Mileage Plus.